Another standout track from rising Michigan producer YOG$'s debut free album "Everyday Vacation". Cop the whole project at officialyogmoney.com. 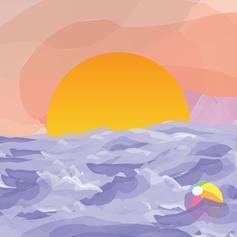 A choice cut from rising Michigan producer YOG$'s debut free album "Everyday Vacation", featuring Maryland emcee Rickie Jacobs on the assist. Cop the whole project at officialyogmoney.com after 2PM EST.